Naught but pure Juliet and Romeo. Say, who acts best? Drusus, or Roscio? From out some new pathetique Tragedy? 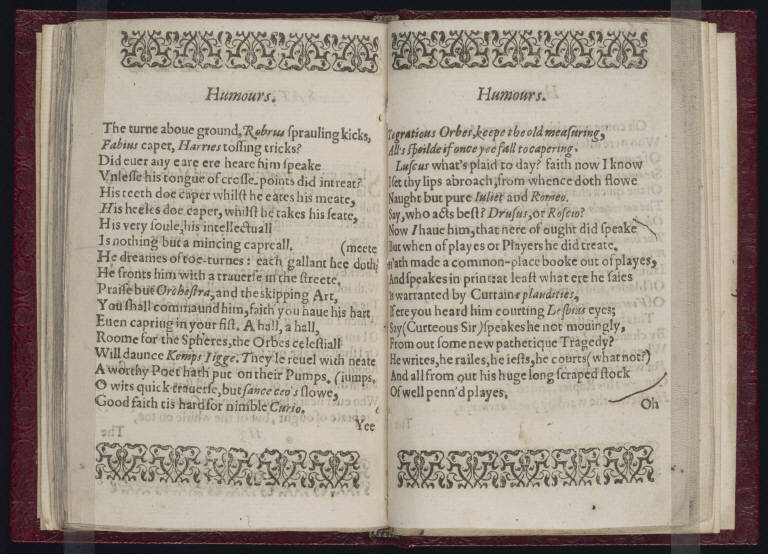 The play-goer Luscus, in other words, quotes plays by Shakespeare and others to show off his learning; but for a writer like Marston, such quotations were too transparently cribbed from other plays to be commendable displays of wit. For us today, the value of Marston’s satire is that it offers a notable printed reference to Shakespeare and his works, one that would have appeared during Shakespeare’s lifetime. 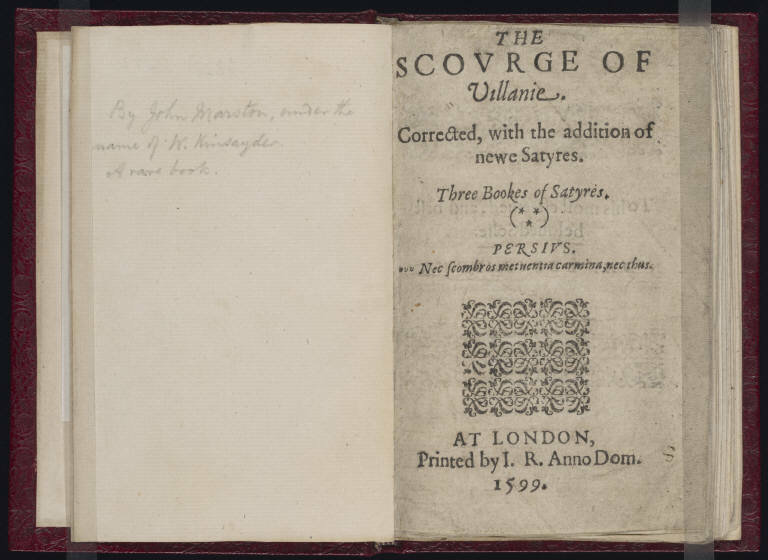 The Scourge of Villainy, then, stands as one more early testament to Shakespeare’s growth as a playwright; by 1599, he was successful and remarkable enough at least to be mentioned in Marston’s pages. But perhaps just as remarkable is what Marston chooses to satire in Luscus: the remarkable eloquence of the characters and the plays he pedantically chooses to quote on a daily basis. The habits, while so laughable to Marston, reveal a powerful historical tendency of Elizabethan audiences–for them, Shakespeare, along with that of so many other players and plays, represented first and foremost a wellspring of eloquence, of pithy phrases and fashionable sayings, to use in their day-to-day lives.